I’m getting tired of Thai people. I’m getting tired of Thai people not looking where they’re going. I’m getting tired of their high-pitched voices and loud ring tones. I’m getting tired of them letting their children scream in public places. I took a vacation to Chiang Mai a few weeks ago and was happy to be among a lot more white people. If people weren’t white, they were accustomed to the white man’s culture. They knew we didn’t want ice in our beer or sugar in our coffee. Not a threat, but most of these people are possibly clinically insane. After spending 10 days away from my site, I got back after traveling for almost 10 hours. 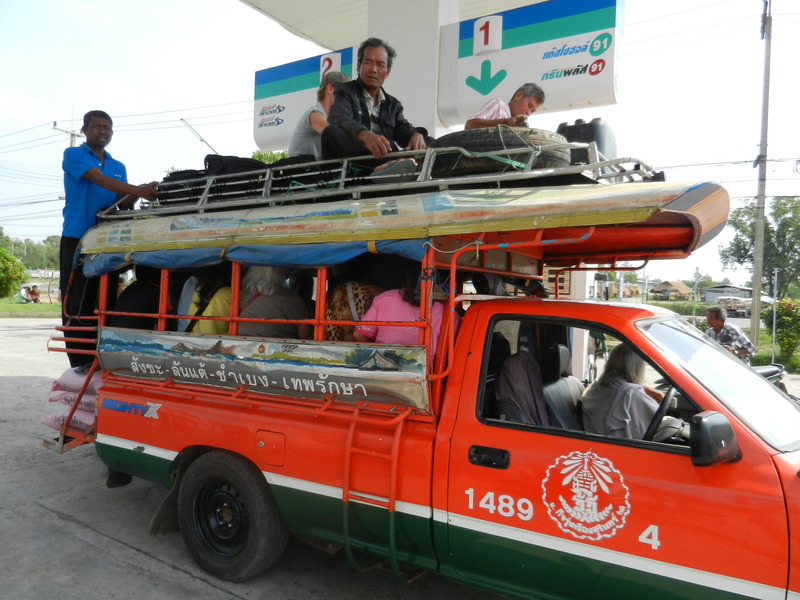 The weather was hot and humid and the Thais acted the same way they did the last 10 days. Despite this, I was happy to be with them. Why? They still take way too many photos of themselves, do their best to destroy the environment with their unrecyclable garbage and watch television shows that make Full House look like Curb Your Enthusiasm. These people are crazy. So why was I so happy when I got back to my site? Because they’re my crazy people. Thailand, I will miss you when I’m gone. This entry was posted in Peace Corps and tagged cultures, peace corps, thailand, thais, traveling by Jeff Jackson. Bookmark the permalink.